Serving as the backbone for millions of websites prevalent over the web, WordPress has become the number one choice of people and enterprises looking for building an eye-catchy and fully-functional website. You can add hundreds and thousands of songs into these radio players from loads of music related resources available on the net. So, if you own a radio-station and have built your radio website using WordPress, then you’ve made the best business decision. In this article, we compiled a list of amazing free wordpress radio player plugins for your websites and blogs which surely helps you in saving lots of time while researching on these. While compiling this list, it’s always a possibility that I missed some other great resources. Feel free to share it with us. You might also want to take a look at our previous selections: Free Four Columns WordPress Themes, Free WordPress Cookies Plugins, Free Image Rotator WordPress Widgets and WordPress Personal Premium Themes. HTML5 MP3 Radio FM MP3 Stream Player can grab “Now Playing Song Information” on player as StreamTitle for Shoutcast and Icecast Streams. HTML5 MP3 Radio FM MP3 Stream Player use Radio streams directly from Shoutcast and Icecast Server and play in HTML5 <audio> element. FnF.fm is an Online Radio Station that can be used as either a widget or Short code. FnF.fm Radio is a Wonderful Radio Player that plays Popular Songs 24/7. 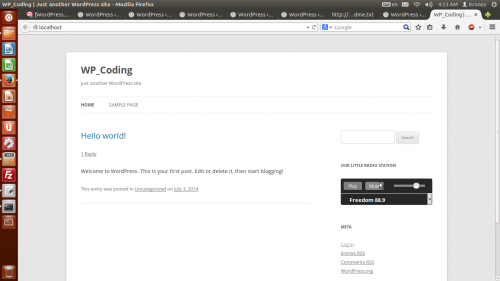 You can use This Radio Player in any Posts or Pages of Your website using Short code. A new widget named ‘FnF.fm Radio’ will be created. You can use this widget in your website sidebar or any other areas. Share with your friends what you are listening to with integrated Social Networks in player. 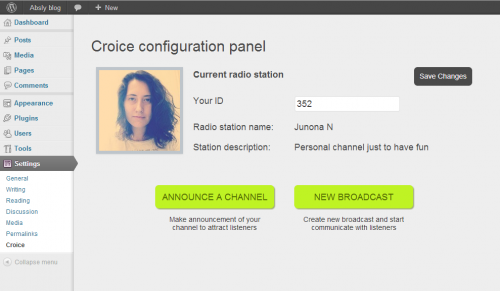 New HTML5 World Radio Station Player integrated with Social Media to enable your visitors to listen to radio stations and increase your visitor retention. Codescar Radio Widget produces a widget for your wordpress site allowing your users listen to a radio station from your website. It uses html5 audio element to play radio in sidebar. Admin can select default station, set initial volume and autoplay or not. Control of the radio stations available from an options page. Bloggers are always looking for new ways to attract and retain audiences. Croice solves this problem through advanced interactive sharing. You create your own radio channel and share your personal widget through social networks, your blog, or virtually any other web site. All you need is attach Slideshare presentation link and slide will attach and synchronized with your listeners widget.